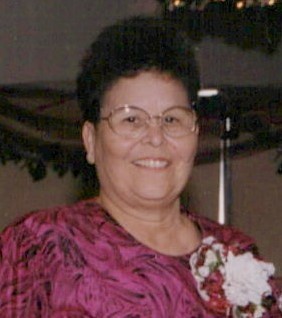 SANTA FE - Mrs. Desideria G. Tovar passed from this life Thursday evening, January 31, 2019, in Clear Lake. Desideria was born August 5, 1937 in La Feria, Texas to Sostenes and Frasisca Galvan. At an early age, Desideria learned the importance of hard work as a migrant worker who drove trucks and picked cotton. But her hard labor days came to an end in 1956 when she married her loving husband of 63 year, Andy, and became a homemaker. One year later they started a family and together raised 4 children in their loving home. Desideria always made sure her family wanted for nothing especially when it came to meals. She was a fantastic cook who made the best tamales around. Desideria also had a passion for dancing whether that was at a dance hall or at home, she loved moving to music but more importantly, she loved being a grandmother and was affectionately called “Momo”. Having her grandchildren and great-grandchildren around brought her such joy and fulfillment. Desideria had a loving and upbeat spirit that made a strong presence in a room anywhere she went. It was something that no one could ignore nor will ever be forgotten. She was preceded in death by her parents; daughter, Irma Soliz; grandson, Dillon Tovar; brothers, Johnny Galvan and Joe Galvan. Survivors include her husband, Andres “Andy” Tovar; sons, Andres “Andy” Tovar, Jr., Richard Tovar, David Tovar and wife, Nancy; sister, Dorothy Longoria; grandchildren, Michelle Quinonez and husband, Jose, Aaron Tovar, David Tovar, Jr., Pricilla Soliz and husband, Jose Garcia, Salvador Soliz, Timothy Soliz; great-grandchildren, Matthew Ramos, Joey Quinonez, III, Travis Tovar, Emily Quinonez, Marissah Quinonez, Raymond Tovar, Andrew Tovar, Noe Soliz, Victoria Buznego, Anthony Garcia, Adrian Garcia; numerous family and friends. Funeral services will be 10:00 a.m. Wednesday, February 6, 2019, in the chapel of Hayes Funeral Home, with Brother Rudy Gill officiating. Interment will follow at Hayes Grace Memorial Park Cemetery. Pallbearers will be Matthew Ramos, Joe Quinonez, Brian Stevens, Michael Stevens, Aaron Tovar and David Tovar, Jr.
Visitation with the family will be from 5:00 – 7:00 p.m. Tuesday at the funeral home, 10412 Highway 6, Hitchcock, TX (409) 925-3501.